Our graphic design students will be working in a revamped studio space in R310 this year. 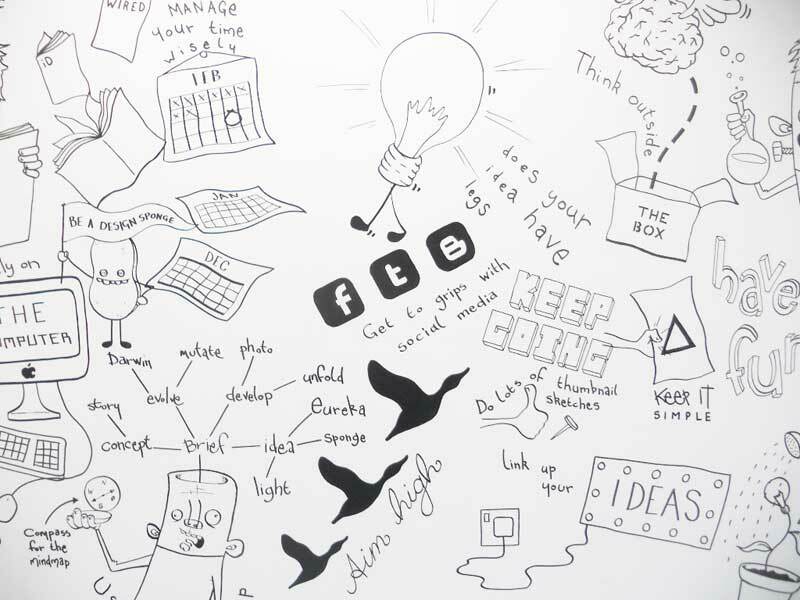 The studio now boasts an awesome black and white mural, depicting the design process. The mural, which is 5.5m long and 2m in height, was created by HND Visual Communication graduate Adam MacDonald, who spent a week over the summer drawing out the characters, icons and diagrams in his own unique style. Many thanks again to Adam, who is now working as a junior designer with Edinburgh-based advertising and design company The Covey Agency. As well as the mural, we've made rearrangements to our archives, supplies and workspaces, and have acquired a large selection of new paper, in every A size and in a variety of weights, and including translucent, day-glo, satin and grained finishes. In due course the team will be announcing plans for Induction week, which will commence the week starting Monday 29th August. As we prepare for the new session, we've been informed by D&AD that all University Network members will be receiving ten free entries to the Student Awards this coming year. The 2012 briefs will be rolling out during October and as usual will feature as part of the project delivery for HND 1 and 2. 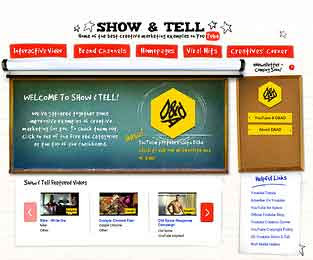 Some other interesting news is that in collaboration with Google, D&AD recently launched Show and Tell, a YouTube channel where a selection of the latest creative marketing videos and campaign ads are available. 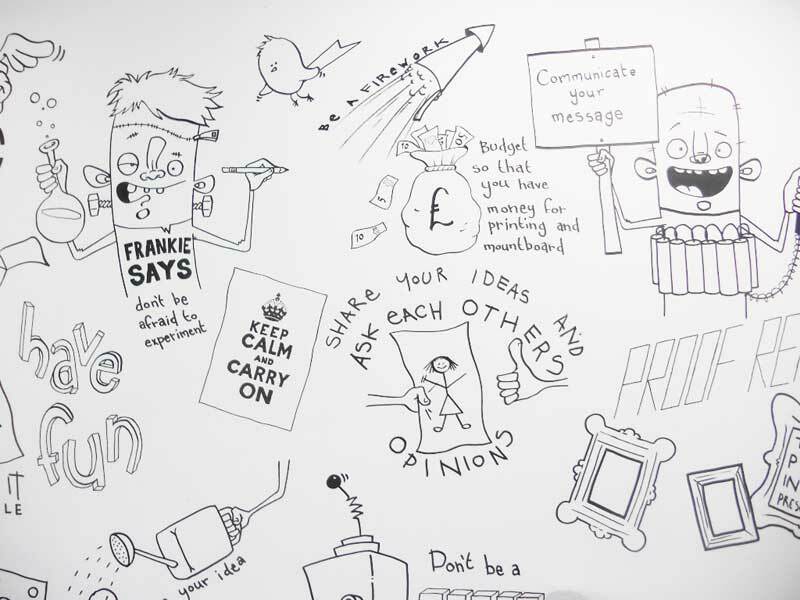 Curated by D&AD, the channel showcases the best virals, home pages, interactive adverts and brand channels. The idea is that D&AD invite producers and creatives across Europe to submit their latest work and showcase their talent. 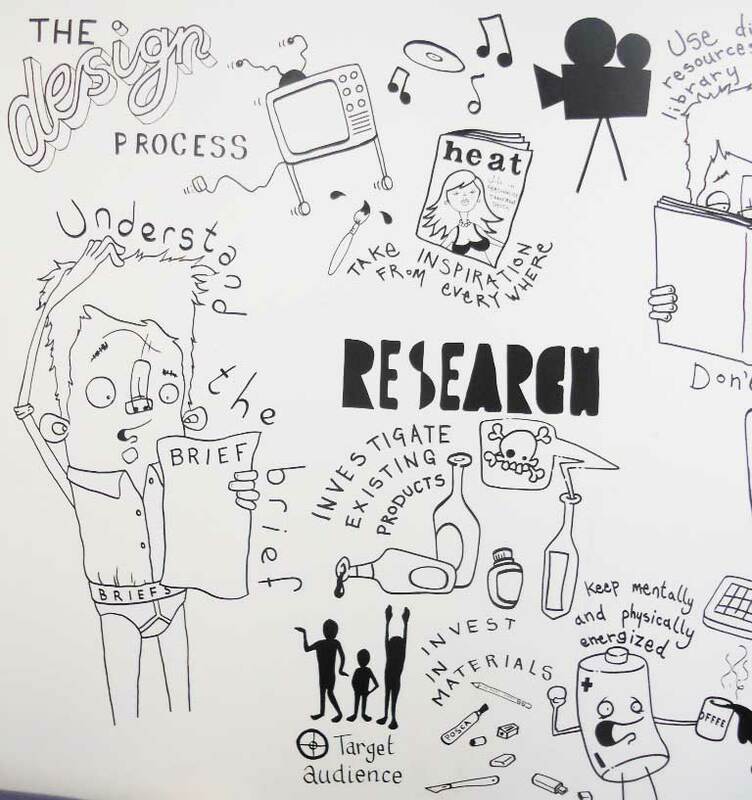 As the content grows, Show and Tell will include learning resources for creatives and students, along with case studies and analysis from leading producers and commentators. This will be a great resource for our classes during the 2012 session.